Ah, January. Everyone is writing about getting healthy, eating kale, putting the bottle down and keeping the butter knife at bay. This post is not denying the value of any of that − I mean, who doesn’t love kale? But when the dark winter days start getting to you and you find your fingertips trembling over a stack of dusty takeaway menus, reach for a jar of this stuff. It’ll put a spring in your step and a smile on your face − it might be a pretty good cure for a stuffy nose too. Yotam Ottolenghi and Sami Tamimi’s Jerusalem is full of Israeli condiments like this, all of which I’m dying to make. This is the first one I’ve tried and, even with a bit of improvising, it came out brilliantly. I used more smoked paprika than it called for because I didn’t have enough regular paprika and I used the dried chillies I had in the cupboard, one fruity guajillo and one habañero − and, believe me, it was plenty hot with just the one habañero. 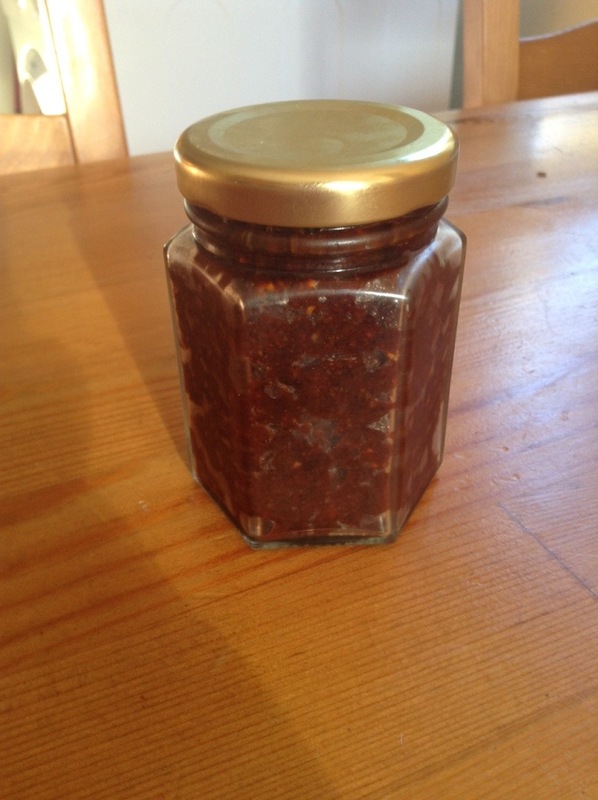 It’s quick to put together and, besides needing copious amounts of garlic, it can pretty much be made from stuff you’ve got in the cupboard anyway: garlic, caraway seeds, paprika, smoked paprika, ground cumin, ground coriander, chillies, salt and olive oil. Add a small spoonful to roasted potatoes, soups, stews, lentils, salad dressing, whatever! And just wait for your taste buds to start dancing. It’s smoky, spicy and deeply flavorful and it keeps forever − just make sure to keep a layer of oil on the top otherwise it dries out. This is one condiment that will definitely help you get through January, through diet season and through the winter. It offers spice, warmth and excitement at a time of year when all anyone can talk about is giving up drinking and heading to the gym. I don’t know about you, but I’d much rather curl up on the sofa with a bowlful of something hot and spicy. Copyright issues… It’s in the Jerusalem cookbook though! It’s basically just 20 cloves of garlic, the spices mentioned, a few dried chillies ( one fruity, one hot) and enough olive oil to make a paste. WOW! Well done! I haven’t made many of the condiments, but a few. All of them were so delicious. Great idea. I think I’m going to try one soon! Hi Pami – great way to kick-up and kick-off the year! I’m going to have to give this one a try – I have many lovers of spicy food in my house. What’s your favorite way to use it so far? By the way, depending on how much you adapted the recipe, it might be ok to post it with the clear notation that it is adapted from their recipe and link to the book. Your call – depending on how much you changed it up, but I think this might be a good example of when it’s ok to do that. Glad, however, that you took the high road first. my first encounter with Pilpelchuma was from a Trader Joe’s 4 pack collection of spices. Almost didn’t buy it because it had 2 other spices I already enjoy. Luck of the draw I chose the pack but sure no regrets. this stuff is amazing and I have many plans for including in recipes already approved. 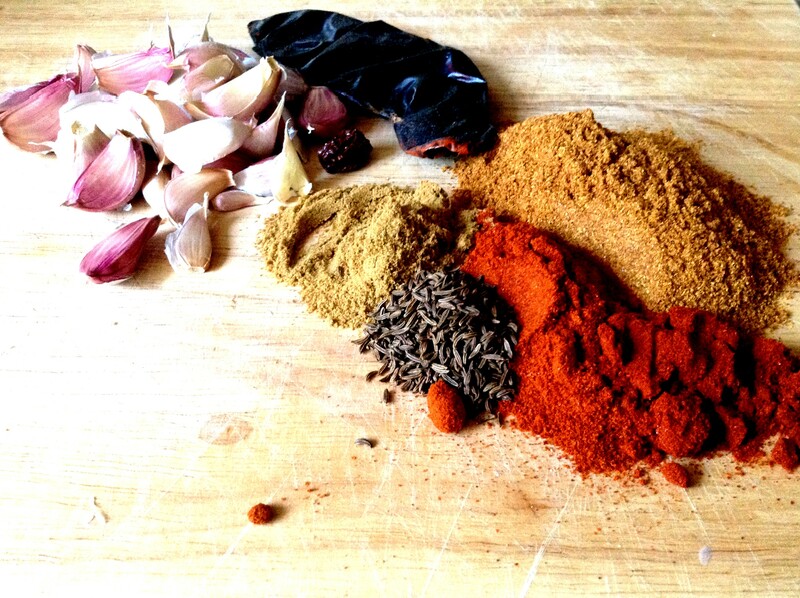 an absolutely delicious spice mixture. Nice amount of heat too. can only recommend anyone finding same to not hesitate; just go for it.